Which Uses Are Most Important For Cryptocurrencies? Cryptocurrency has an awful lot of uses, far more than it’s FIAT rivals. Of course, part of this is down to the power of the blockchain and whilst (for example) both crypto and FIAT can be used to make cross border payments, the crypto alternative is so superior that in reality, the idea of a FIAT cross border transfer cannot be considered as a part of even the same league. All things considered then, which uses or factors are most important for cryptocurrency? Privacy/Anonymity One use, is for the purpose of private and often hidden transactions. This really is one of the foundations of cryptocurrencies. Overall though, we need to consider how useful this really is, privacy is one of the concepts that is holding adoption back, moreover, why do we need our payments to be hidden if we are complying with the law? Most importantly, does this sort of climate nurture crime, thus making cryptocurrencies an attractive criminal asset? Whilst anonymity is one of the major uses for crypto, I don’t think it can be considered as the most useful. Cross Border Payments As mentioned, this is more down to the technology, however, is this one of the more prominent uses for cryptocurrency? I would argue that yes, it is. Cross border payments facilitated by cryptocurrency have implications for many other industries, from employment to financial banking, to insurance and charity. Overall, this is one area that cryptocurrency is starting to revolutionise, therefore, we believe this is indeed one of the more important uses for cryptocurrency. Investment This goes without saying. Historically cryptocurrency is a viable investment and is therefore useful as an invested asset. With this in mind though, volatility means that investment is risky and therefore, whilst crypto may be ‘investable’, the uncertain nature surrounding the markets mean some of the other uses for cryptocurrency may be considered as more important. 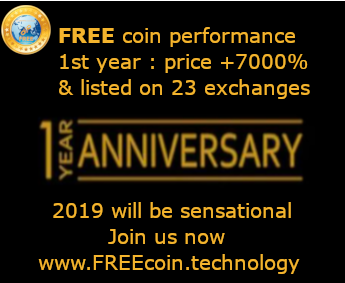 Currency Cryptocurrency is a currency, an item of value which can be used within an exchange for an item of equal value. Whilst this is often forgotten, it’s something important that should be considered. Cryptos are there to be spent, adoption will see this through one day and therefore, cryptocurrency as a currency is an important use. These are just some of the ways in which cryptocurrency can be used. As you explore the industry further you will find that there are many more uses for cryptocurrency out there. Each use is important in its own way and of course, each use helps each person determine how they want to use their crypto. Overall, like beauty, this question is subjective, there’s no one true answer but that kind of goes with everything crypto-related anyway, doesn’t it?